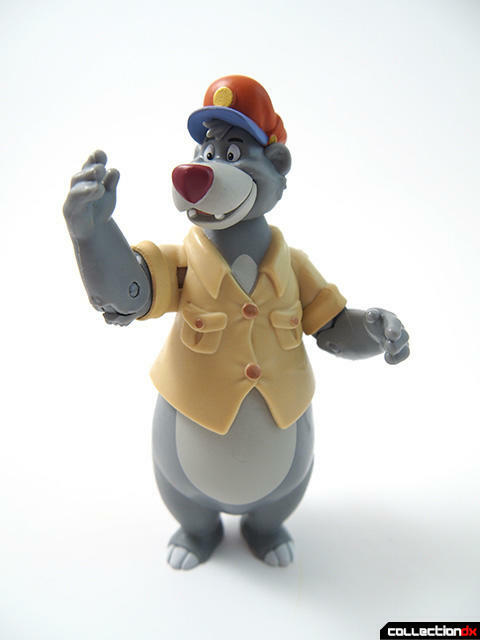 Baloo is my spirit animal. 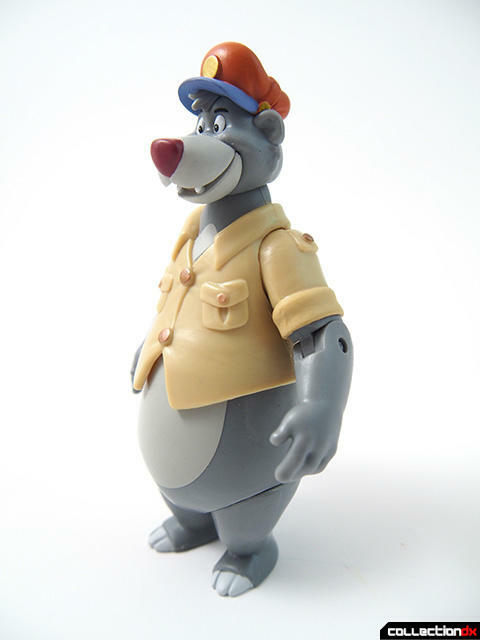 We're built pretty much the same, although I tend to wear pants. 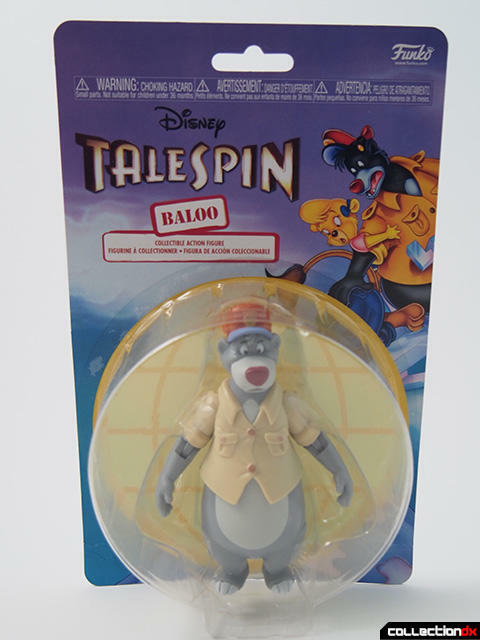 This is another release in the first edition of Funko's Disney Afternoon action figure line. 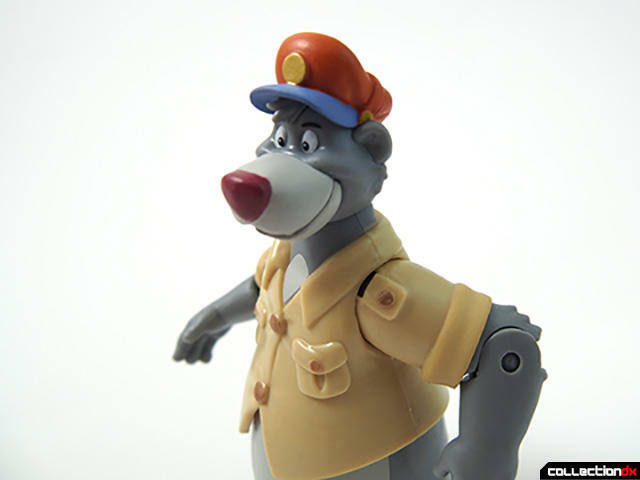 These figures pay tribute to the Disney TV cartoons from the late 90s early 90s. 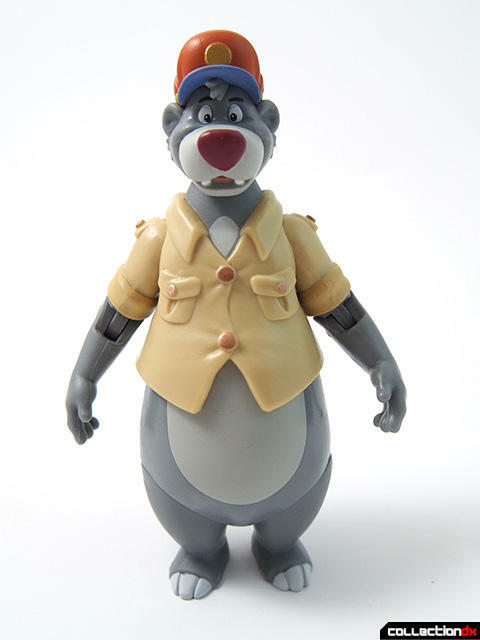 This particular figure comes from Talespin, which re-imagines Baloo from the Jungle Book as a 1930s bush pilot. The packaging here again is amazing. Firm card, bright colored graphics front and back with a circular blister bubble. 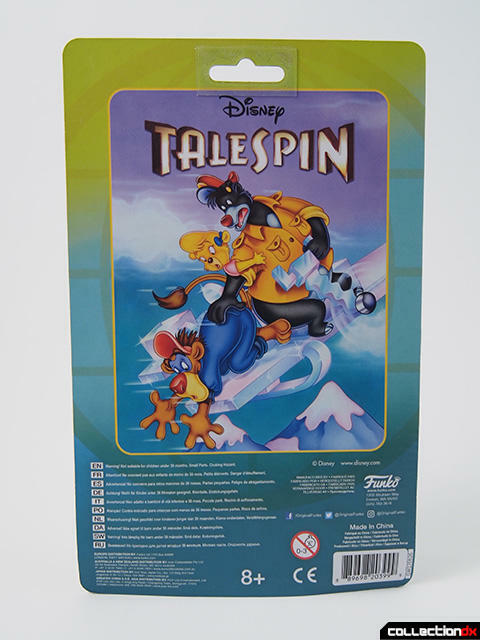 While all of these figures are part of Disney Afternoon, each show has its own unique identity for their cards. 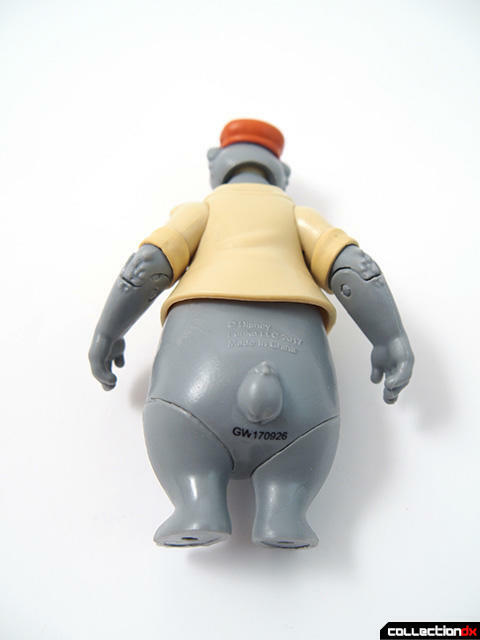 Do you remember the feel of the vintage kenner Gamorrean guard figure? How about the Rancor Keeper? This feels like that. It's a wonderfully solid little hand grenade of a figure. It feels like a figure out of time actually, because they just aren't made like this anymore. 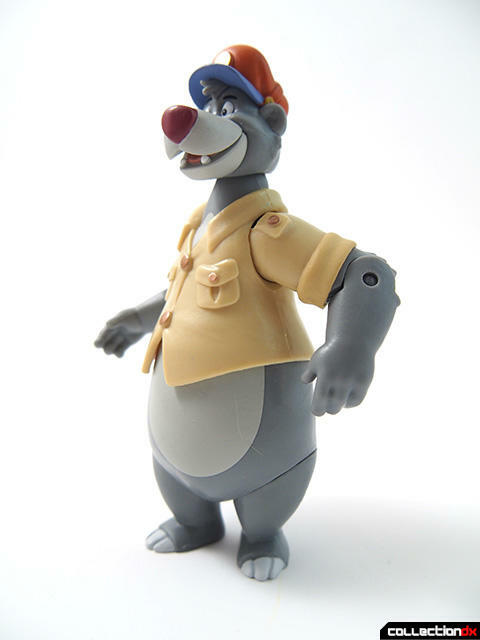 Baloo features 8 points of articulation (hips, waist, shoulders, elbows and neck). 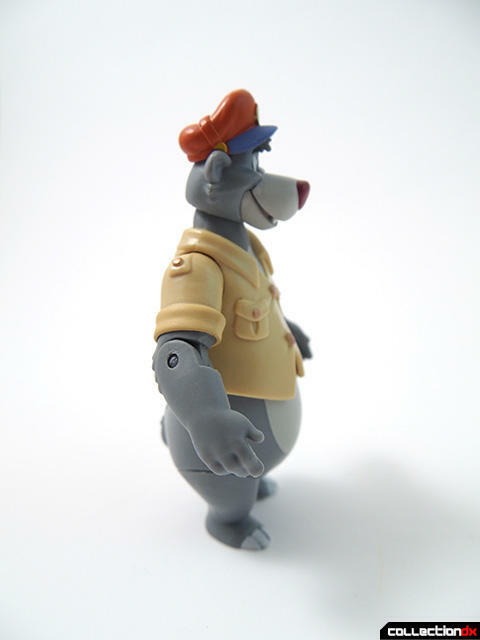 The figure is largely molded in color, but the paint applications that are there are amazing. The paint on the head is so tight it's almost unbelievable.